Your Achilles tendon suffers extensive wear and tear every time you walk, so the pressure increases with activities like running and jumping. As a result, the tendon is susceptible to painful problems like inflammation, degeneration, and rupture. Dr. Dustin Hubbard and Dr. Ralph Dixon at Fairbanks Foot and Ankle have the expertise to help, whether your Achilles tendon injury requires conservative treatment, innovative stem cell injections, or reparative surgery. To schedule an appointment, call the office in Fairbanks, Alaska or book an appointment online. The Achilles tendon is a thick band of connective tissue that runs down the back of your leg, connecting the calf muscle to your heel bone. It raises your heel when you walk, stretching back and forth with each step you take. What problems affect your Achilles tendon? When you have Achilles tendonitis, the tendon is inflamed either in the middle of the tendon or at the point where it attaches to your heel. Achilles tendonitis develops from repetitive stress or when you suddenly increase the time spent exercising or the intensity of your activities. When Achilles tendonitis goes untreated, the condition progresses, causing tendonosis, or tendon degeneration. At this stage, the tendon develops small tears in addition to ongoing inflammation. A partial or complete tear occurs when your Achilles tendon is stretched too far. Overstretching typically results from forceful jumping or sudden acceleration when you start running. The tendon may also rupture following an injury or when medications you’re taking, such as steroids or certain antibiotics, weaken the tendon. What are the symptoms of Achilles tendon conditions? What are stem cell therapy injections? Adult stem cells self-replicate indefinitely, dividing and producing throughout your lifetime to create new tissues that replace damaged tissues. When adult stem cells are injected into a damaged Achilles tendon, they promote healing, stimulate cell growth, and reduce inflammation. Stem cell therapy is especially beneficial because the Achilles tendon is notoriously slow to heal. What other treatments are recommended for Achilles tendon problems? Conservative treatment may include rest, medication, a temporary walking boot, and physical therapy or a home exercise program to strengthen and stretch calf muscles. Customized shoes and orthotics relieve pain caused by Achilles tendon problems. You may need shoes that are softer at the back of the heel or an insert that lifts the heel. For severe ruptures and when your tendon doesn’t respond to conservative measures, your doctor at Fairbanks Foot and Ankle may recommend surgical correction to remove damaged tissue and restore the tendon. 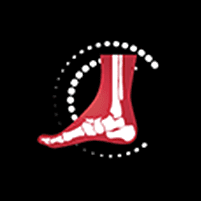 To receive customized treatment for your Achilles tendon, call Fairbanks Foot and Ankle or book an appointment online.